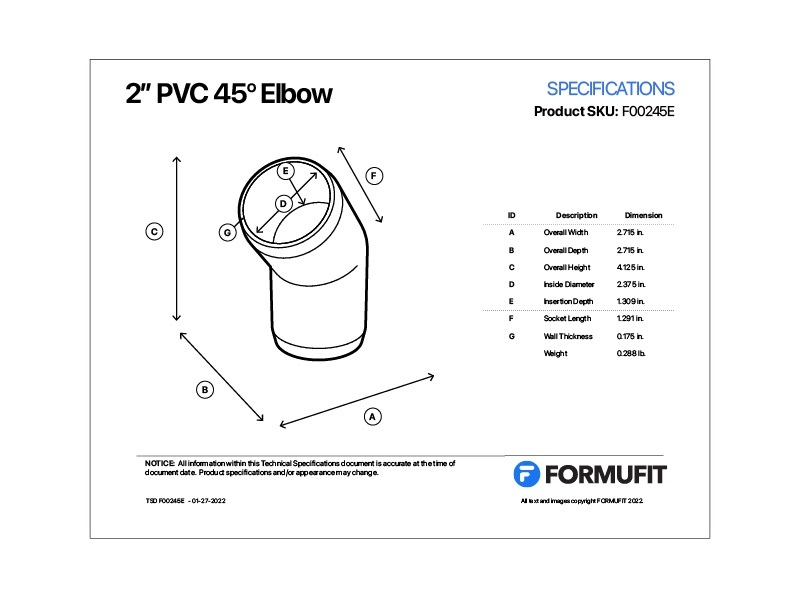 FORMUFIT 2" 45-Degree PVC Elbows add 45-degree angles to your 2 in. PVC pipe structures. These elbows work great to add additional angles to your application, when just 90 degrees will not suffice. Make tilted backs of PVC furniture, v-shapes and roof lines in PVC projects and join in series with 90-degree elbows to create other angles. Five times more resilient than plumbing-grade PVC elbows. Injection molded as a solid component for resilience and durability. Contains titanium-dioxide, a food-grade additive that inhibits the punishment of UV light onto PVC-based plastics. Use your PVC project outdoors without concern for photo-degradation. 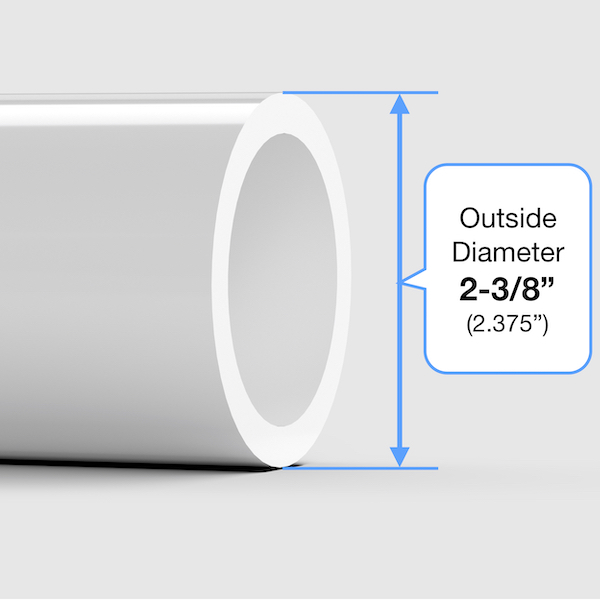 Connect externally over PVC pipe and have chamfered ends that taper down to the pipe so fitting edges won't snag clothing, pets or materials. Have an exceptional, glossy, smooth exterior. No manufacturer barcodes, printing or embossments on the surface, so your projects look professional and finished. 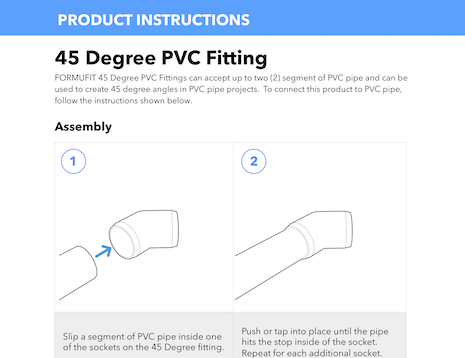 Sockets that are 30% deeper than equivalent plumbing-grade elbows to allow added insertion of the PVC pipe into the fitting which aids in structural stability.